Valeo-Propolis is an organically certified product and is suitable for both adults and children. It has a sweet, pleasant taste, which will be appreciated particularly by children. 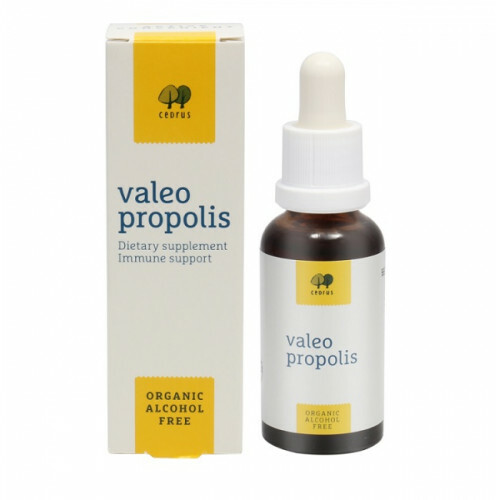 Valeo-Propolis is available in convenient dropper bottles (30 ml). It is recommended to consume 8 – 10 drops every morning. If the immune system is on alert (fighting against a virus) and there is an increased need to benefit from the anti-viral properties of Valeo-Propolis, it is recommended to increase the intake to 4 times, 8 – 10 drops per day. People who have allergic reactions to propolis should seek medical advice before using product. Lifestream Certified Organic Spirulina is richer in phytonutrients, carotenoids xanthophylls and ..
Comvita PFL30 Propolis 250 Capsules are the best way to take large doses of propolis for internal us..
Comvita® Children’s Manuka Honey Elixir contains lemon flavour and is specially made for the tempora..
Comvita Propolis Tincture PFL30 25ml is nature's powerful defense system. Comvita made Propolis Tinc..
Buy Comvita Propolis Extract Alcohol Free PFL30 25ml from Ashop. PFL30 propolis extract is a..
Comvita® Propolis Oral Spray Extra Strength is nature’s powerful defence system. Propolis oral spray..
Comvita PFL30 Propolis 250 Tablets is great for immune support and have beneficial effects on str..
Comvita® PFL15 Propolis Capsules contains a range of bioflavonoids, which are great for antioxidant ..
Comvita PFL15 Propolis 365 Tablets contains bioflavonoids and other phenolics in single dose. Propol..
Redseal Propolis Toothpaste 100g Red Seal Propolis toothpaste contains New Zealand Bee Pro..
♦ Product Description: Naturo Pharm is New Zealand's leading manufacturer and supplier of hom..
♦ Product Description: Propolis is known as nature's antibiotic. Manuka Health BIO30™ Propoli..
♦ Product Description: Manuka Health's BIO30™ & MGO™ 400+ Manuka Honey Toothpaste combine..
Buy Comvita Propolis Tincture PFL15 25ml from Ashop. Propolis tincture PFL15 contains flavonoids lev..
Buy Comvita Propolis Extract Alcohol Free PFL15 25ml from Ashop. Propolis Extract is a nature’s powe..
Manuka Health Propolis & MGO™400 Manuka Throat Spray 20ml Manuka Health Throat Spray ..
♦ Product Description: A 100% natural syrup formulated for kids over 12 months of age contain..
♦ Product Description: MGO™ 400+ Manuka Honey Syrup contains 100% natural source ingredie..
♦ Product Description: Suitable for use with homeopathics. Herbal & Mineral Toothpast..
♦ Product Description: Mineral based cleaning for the family We know y..
♦ Product Description: Herbal extracts to help fight plaque. We know y..
Why use Nuta Life Kyolic® Aged Garlic Extract™ High Potency Formula? 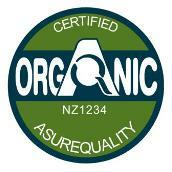 Research has ..
♦ Product Description: Manuka Health BIO30™ New Zealand Propolis Tincture 25ml!!! Propoli..
♦ Product Description Why Liquid Vitamin D for Kids? From Australia’s #1 Vitamin D brand..
Good Health Viralex Kids Immune 60 Chewable Tablets!! Good Health Viralex® Kids Immune Chews are..
Inno Health and Care Manuka Agua Propolis 180 Chewable Tablets contains Agua Propolis® extract,..